It was Margit und Peter Schausberger`s pleasure to host the first meeting of that kind on their own facilities. 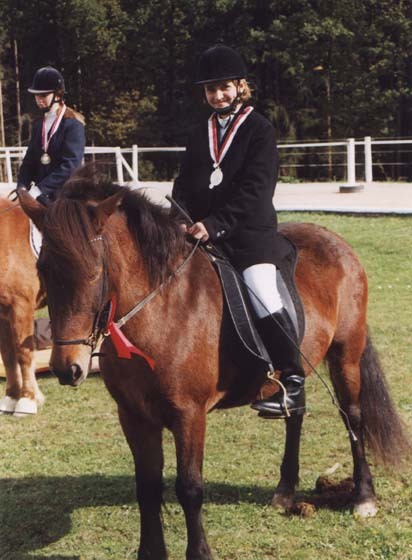 And the Championships turned out to be a successful start for the Icelandic Horse Scene in the Tyrol. With the last competition of the season the T.I.C. 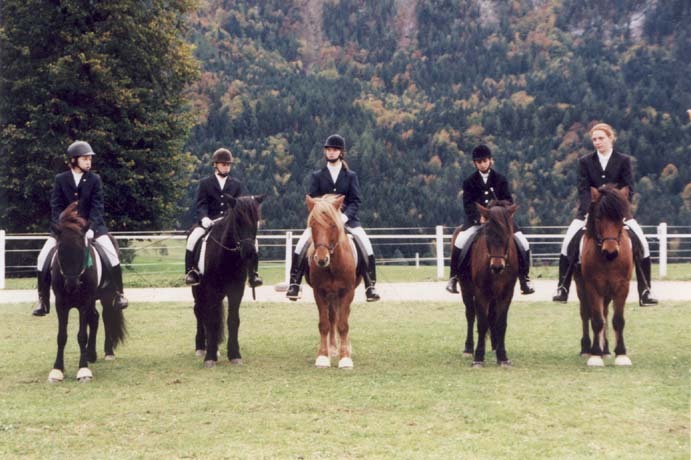 showed its capability to increase the interest for Icelandic Horses and its popularity in western Austria. All the helping hands and the supervisor team worked hard during the last tensed days before the competition. But in the end they managed to get first-class conditions for the courses. 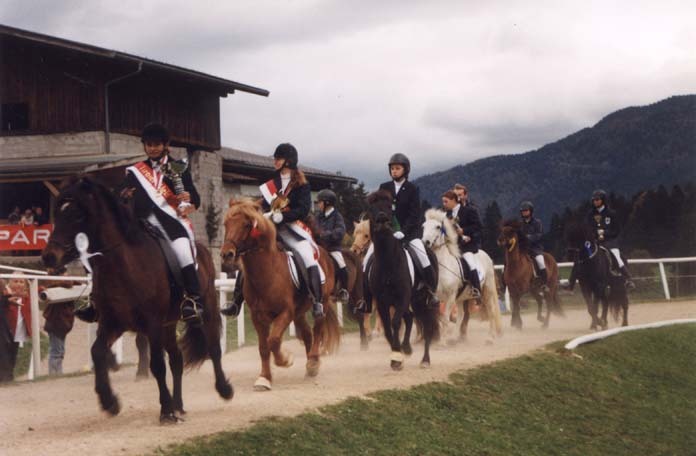 More than 70 riders participated in the different competitions, and there were guest riders from Germany, Italy and Slovenia. So the Tyrolian Championships turned out to be one of the most attended competitions of the year. There was quite a lot of audience and all the spectators had a good time watching Dressage and competitions in the gaits Toelt and Pace. The riders and horses showed an especially good performance at the Fourgait and Fivegait competitions. The audience paid special attention to the speedpace race on Sunday. This was indeed the highlight of the whole spectacle. With a big ceremony honouring the winners and not to forget the parade of all the competitors the first Tyrolian Championships ended. With the organization of this tournament the T.I.C. definitely proved its ability to participate in the Austrian competition happenings in the future.